This entry was posted on 10/31/2014 by zeonicfreak. It was filed under Anime, Other, Reviews and was tagged with Colony Drop, Devilman, Discotek Media, F, fansub, Formula 1, GamerGate, Go Nagai, Halloween, Lupin the 3rd, Lupin the Third, Reporter Blues, Star Fleet, X Bomber. Devilman 4ever. 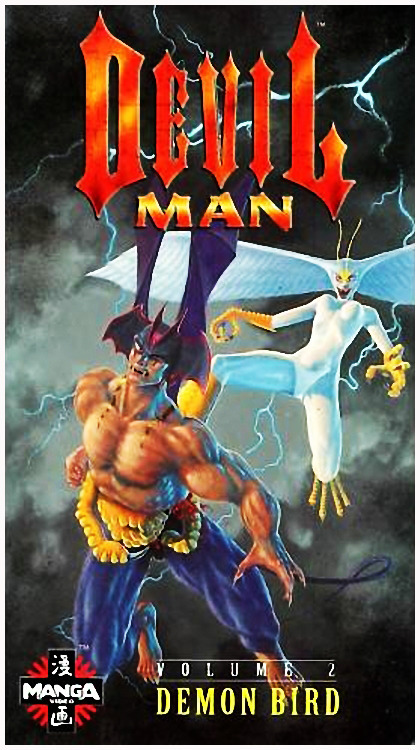 I’m gonna demand at least one Devilman related review/discussion a year until you run out of material. Chris-Chan, the man(tomboy? ), the legend. Sweet Jesus. I also need to watch a good chunk of Lupin. The only Lupin I own right now is Discotek’s release of the first series. Gotta get on those movies and stuff sometime. Definitely excited for Cagliostro. We will gladly meet that demand, as Amon is a shoo-in for next years special. Unless you have other halloween themed anime you want us to review, you are welcome to suggest those (I know we can do Lily Cat, Roots Search and the original Vampire Hunter D movie). Chris Chan never seems to stop surprising people with his actions. It seems every episode now has us saying something about him, because he still continues to be a source of content. Yea im stoaked to get Castle of Cagliostro on DVD in Dec. They got a lot of material to go with it also.